A brief interview with DHH about Rails’ position in the world of frameworks, Rails 5’s new features, and what other programming ideas are on his radar. Get in before midnight Central on January 15. The event takes place in Kansas City this May 4-6. Don't Have Time for Small Improvements on Your Rails App? We’ll handle them for you! 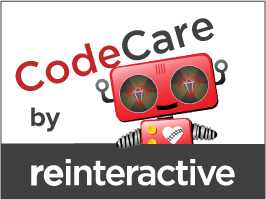 CodeCare is reinteractive's fixed price, month-to-month Ruby on Rails app maintenance service. Sign up for ongoing upgrades and improvements today. While full support for HTTP/2 in Ruby web frameworks is still a way off, you can still benefit from it and it’s worthwhile learning what’s coming in the future anyway. An interesting look at how two seemingly equivalent pieces of code do not compile to the same thing internally. Read about the advantages of using Docker and learn how to build and dockerize a Ruby on Rails application that uses PostgreSQL, Redis and Sidekiq. Brightbox has again created some handy Ubuntu packages for the latest version of Ruby. A complete introduction to oPRO (OAuth PROvider), a Rails engine from Richard Schneeman that lets you quickly build your own authentication provider. Get in before midnight Central on January 15. Monitor your next feature or project for just $15/mo. Compare to your current monitoring, free for 30 days. Luckily there are many legitimate uses for the techniques outlined here. The Ruby-esque Erlang-based Elixir is getting a lot of attention in the Ruby community lately. A very long time in the making and a huge milestone for this great open-source persistence and mapping toolkit. Scenic adds first class support for database views to ActiveRecord migrations. With imgix, integrating responsive images into your app could not be easier. imgix resizes, crops, and processes images on demand and has a robust Rails gem to make integration easy. Learn how to start delivering responsive images in less than 30 minutes.